“The House of Elves did various things for our wedding on the 9th of September 2017 including a welcome sign, place settings, table numbers etc. Originally I was going to do all those things myself as the cost from other companies was quite expensive but so glad i didn’t and got The House of Elves involved! They offered everything we wanted at a really good price. 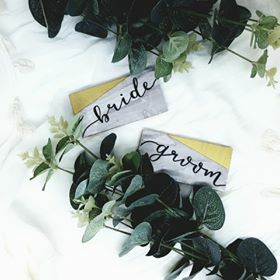 Also the quality of the service and product was perfect, The House of Elves listened to what we wanted and added their own artistic flair to make it fit in perfectly with with our theme and venue.